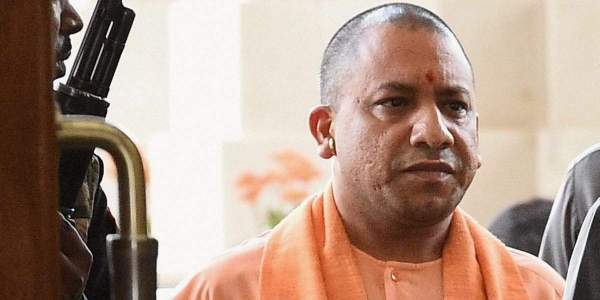 LUCKNOW: In a late night development, businessman Abhishek Gupta, who had accused CM Yogi Adityanath’s principal secretary SP Goel of bribery, retracted his statement after spending eight hours in police detention on Friday. A video shared by senior Uttar Pradesh government officials with the media showed Gupta purportedly explaining that he had levelled the charges of bribery in depression as he was “losing his mental balance” after his representation to the government for land allotment was rejected by Goel. In the video, Gupta says he had targeted Goel because a delay in clearing a plea for widening the road to his petrol pump had put him in a financial crisis. “I have taken a loan of `1 crore and I am supposed to repay it in monthly instalments of `1.10 lakh. Work on my petrol pump was already on but it got stuck because of the technical issue wherein the road in front of the proposed petrol pump had to be broadened,” he is heard saying. Earlier, the issue snowballed into a big controversy on Friday. Taking cognizance of the charges, the CM asked Chief Secretary Rajive Kumar to go into the root of the controversy, check the veracity of the bribery charges and dig out the details pertaining to Gupta’s petrol pump. But, Samajwadi Party chief Akhilesh Yadav launched a scathing attack on the BJP government and demanded a CBI probe. The row erupted after a letter forwarded by Governor Ram Naik was leaked out on Thursday. Highly placed sources in the administration blamed it on the long-drawn cadre war among the IAS officers themselves and called it the handiwork of “anti-Goel lobby”. Meanwhile, Goel called the allegations ‘ridiculous’ and added that he got Gupta’s file only after the Governor’s letter was received at the CMO. He claimed he recused himself from the issue and informed the CM about it. But, the Governor’s letter is leaked out, making it a huge controversy in the power corridors of Lucknow.